In search of warmth and shelter from San Francisco’s infamous summer fog (so prominent that it even has a name, Karl) we decided to venture up north to Oregon. 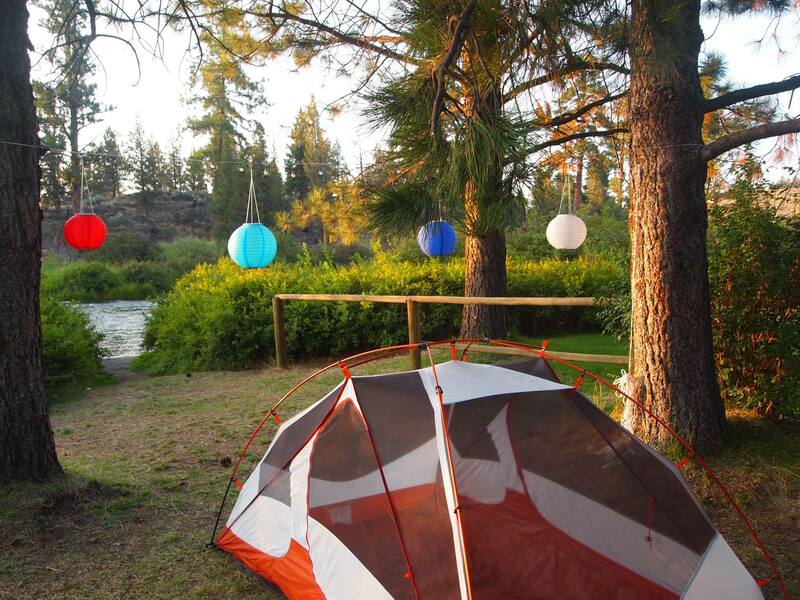 Our first glamping stop was Bend, home to of one of Oregon’s most popular ski resorts, Mt. Bachelor, and the Deschutes River. In the summer, Bend has everything you could want for a summer getaway including an abundance of swimming holes and microbreweries. We set up camp at Tumalo State Park, minutes away from downtown Bend and the Ale Trail (16 microbreweries within a few miles). 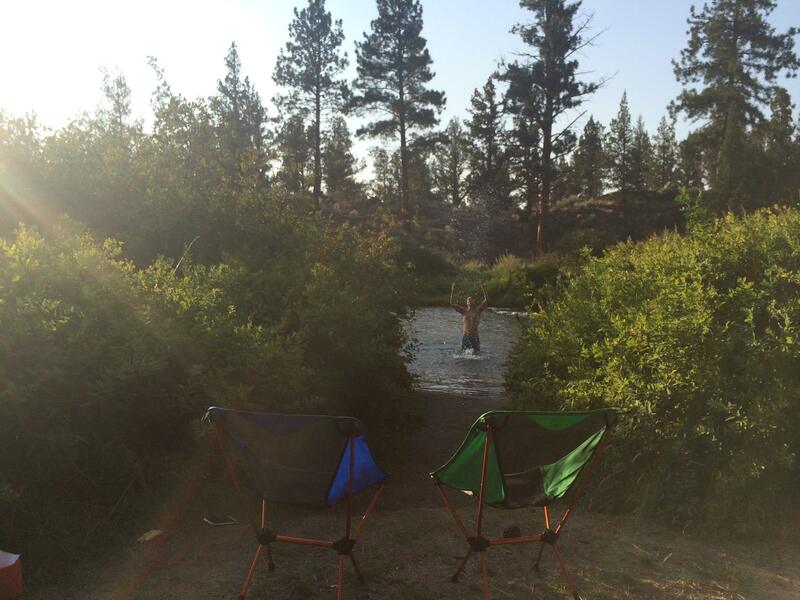 You can choose your campsite ahead of time, so since we made sure to reserve one right on the Deschutes river. We were happy to see that our campsite even had a private path to jump right in the river! The Deschutes runs through Tumalo Park, so you can hike around and find other nice areas to jump in and cool off from the hot summer sun. 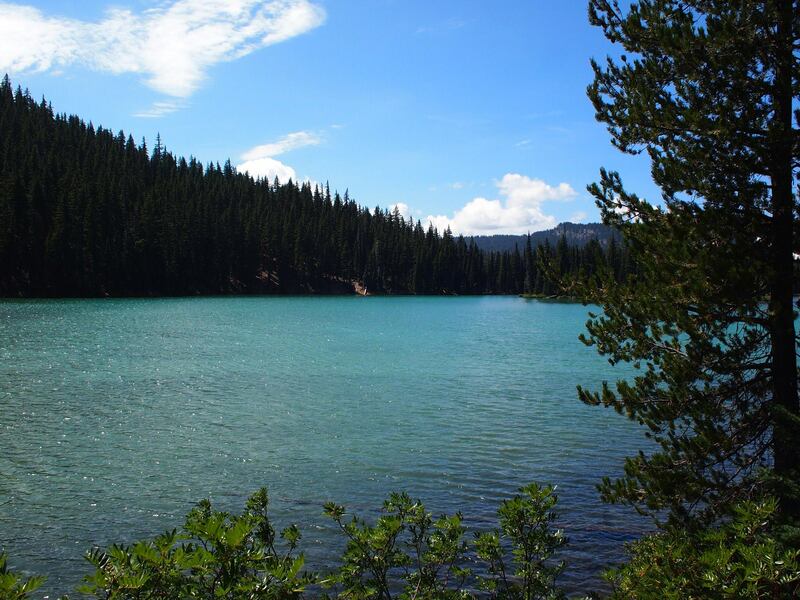 A 30-minutes drive brings you to the Cascade Lakes, which offer more swimming and magnificent views of the sweeping (and still snow-capped) mountains. Another pleasant surprise was there were very few mosquitos at dusk, so we were able to enjoy “happy hour” by the river with some local cider and cheese. And when it got too cold to jump in the river, even listening to the sound of the gurgling currents was refreshing. No better way too fall asleep than right next to a river! 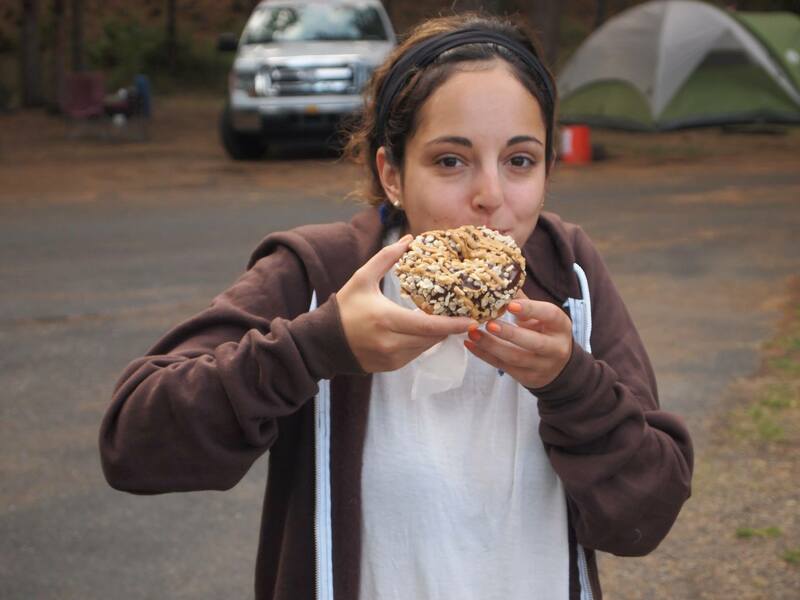 To top things off, how about waking up to a Rice Krispie + Peanut Butter doughnut from the famed Portland-based Voodoo Doughnut? Stay tuned for the next stop on our trip: Crater Lake!